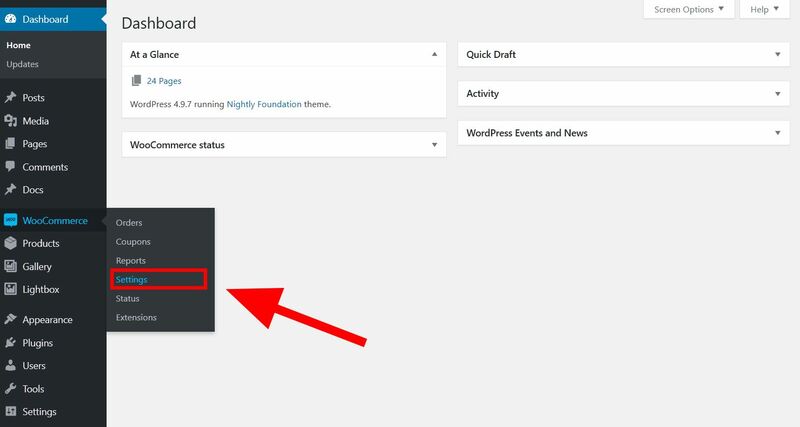 1) In the WordPress admin go to WooCommerce > Settings. 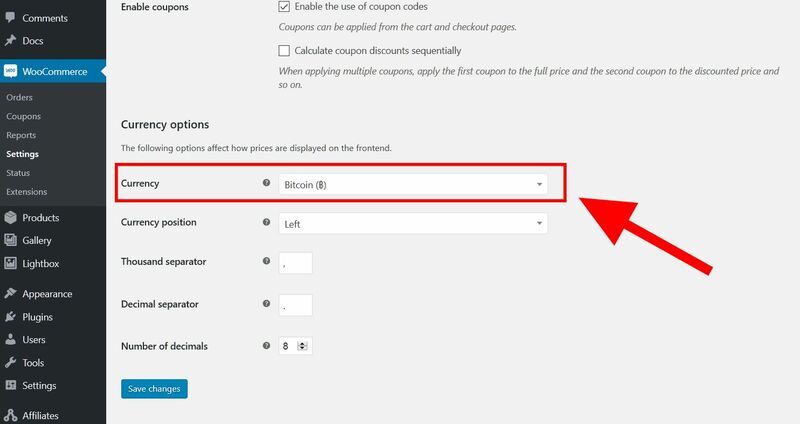 2) While on the WooCommerce “General” settings tab scroll down until you see “Currency Options”. Choose Bitcoin as the default currency and save. 3) Product prices will now be displayed in Bitcoin!